One of the nice features of the DeLorme InReach Se is the way it can pair with an Android phone or iPhone. 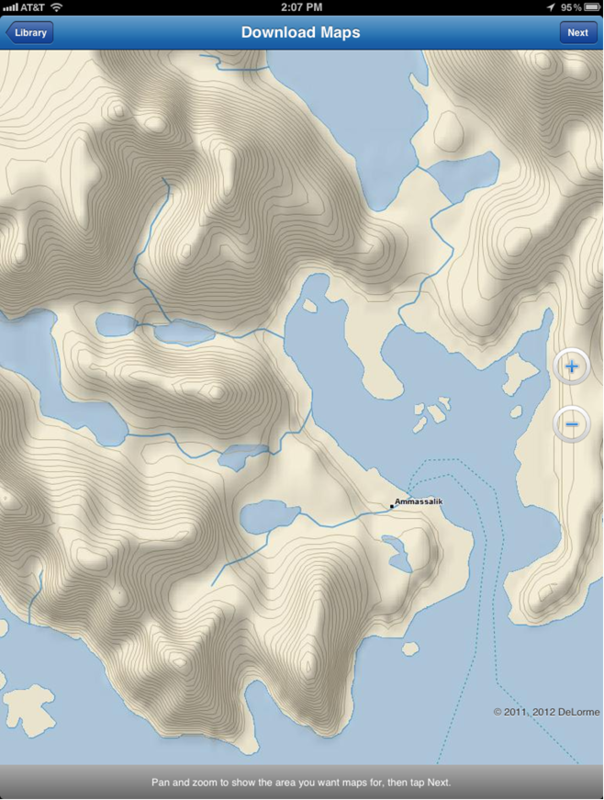 Detailed maps are downloadable from DeLorme and can be kept on the phone. Once paired, the InReach SE can provide location information on the maps. 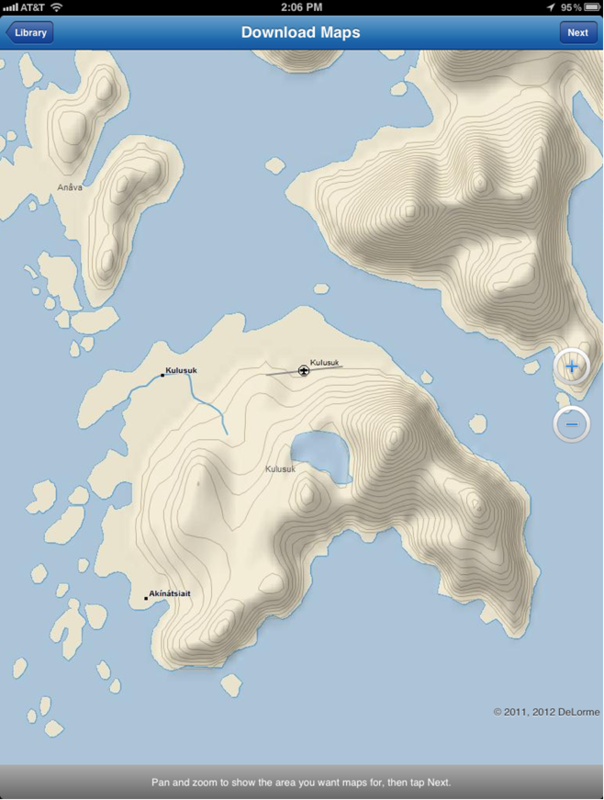 These maps will be accessible even when the phone has no signal. 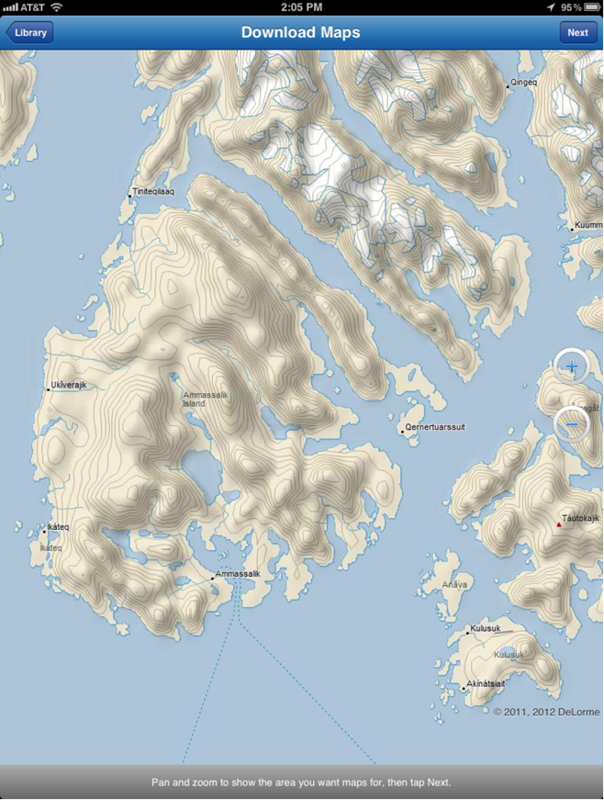 A DeLorme technician sent me some examples a little while ago so I could see how much detail the maps contained. For East Greenland it was pretty good!